The Syrian Arab Army (SAA) continues its offensive against Daesh (ISIS/ISIL) after having liberated the al-Sukhnah oasis on August 6, Gevorg Mirzayan, an associate professor at the Department of Political Sciences at the Finance University of the Russian Government, writes. While the lifting of the blockade of Deir ez-Zor by the SAA is merely a matter of time, Damascus faces the difficult task of sorting things out in Idlib, the academic stressed in his article for RIA Novosti. Initially, Damascus believed that it would resolve its contradictions with the so-called Syrian opposition through diplomatic means, Mirzayan noted, referring to the fact that this was exactly what the talks in Astana were about. As a result of the talks, the parties involved agreed on the establishment of four de-escalation zones in Syria: in the country's southwest, Eastern Ghouta, the "Rastan cauldron" between Homs and Hama and the province of Idlib. 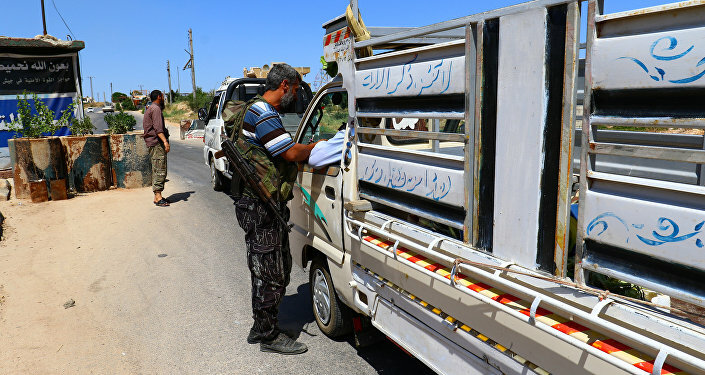 However, the situation changed dramatically in late July, when Hayat Tahrir al-Sham (HTS), the jihadi coalition led by al-Qaeda affiliate al-Nusra Front (also known as Jabhat Fateh al-Sham), expelled Ahrar al-Sham, an opposition group aligned with Turkey and Qatar, from the city of Idlib and its neighborhood. Needless to say, Ankara was not happy with the fact that its "clients" were replaced by HTS, especially given the fact that what is at stake is Turkey's reputation as a regional player. Citing Leonid Isaev, an expert in Middle Eastern affairs at Moscow's Higher School of Economics, Mirzayan highlighted that the Turks are responsible for both maintaining the cease-fire regime and combating terrorists in the region. "After al-Nusra Front took Idlib, the question arose whether Turks are able to fulfill their obligations," Isaev remarked. However, it appears that Turkey's problems are not limited to the potential loss of face. Ankara had certain plans in regard to Idlib, Fehim Tastekin, a Turkish journalist and a columnist for al-Monitor's Turkey Pulse, writes. "Until July 27, Ankara's plan for the border was to mobilize its local Euphrates Shield forces based in the Azaz/al-Bab pocket to expel the Kurdish People's Protection Units (YPG) from Tel Rifaat and Menagh and then open a corridor between Azaz and Idlib," Tastekin suggested, adding that what Turkey really wanted was "to lay a tight siege on Kurdish-controlled Afrin, which today is mostly surrounded from the northeast by Turkish-backed forces." Ankara also planned to maintain full control over the Idlib province with the assistance of opposition forces sponsored by Turkey. "Finally, Idlib would be declared a deconfliction zone as per the accord reached with Russia at Astana, Kazakhstan," Tastekin noted. However, the recent developments are likely to change Turkey's plans for Idlib and Afrin. Ankara has now found itself on the horns of a dilemma: either to intervene entering into a direct conflict with HTS or let Damascus, Tehran and Moscow to cope with the Idlib problem. According to Isaev, Ankara doesn't want the Iranians or the Russians to "fulfill the Turkish obligations" since it intends to continue playing an important role in the regional power game. At the same time, however, the Turkish intervention could be fraught with certain difficulties and may prompt fierce resistance from the Kurds and Arabs. Incredible as it may seem, the HTS occupation of Idlib could play into the hands of Damascus, Mirzayan remarked. Instead of holding protracted negotiations with the opposition forces, the SAA could now retake Idlib in the course of a military operation, similar to what it had carried out in Aleppo, the academic assumed. Indeed, with al-Qaeda affiliated forces having seized Idlib, an all-out military campaign against terrorists appears to be an appropriate response. "HTS control of Idlib means that the province will increasingly be viewed as a pariah internationally. Although the group claims to be independent, the United States and the international community at large see it as an al-Qaeda front," Aymenn Jawad Al-Tamimi, a Jihad-Intel research fellow at the Middle East Forum, writes for Foreign Affairs magazine. "Moreover, the Assad regime and its allies will likely have greater international support for an offensive to retake the province," Al-Tamimi highlighted. Still, according to Mirzayan, the SAA need to regain control over Deir ez-Zor and Raqqa in the first place. 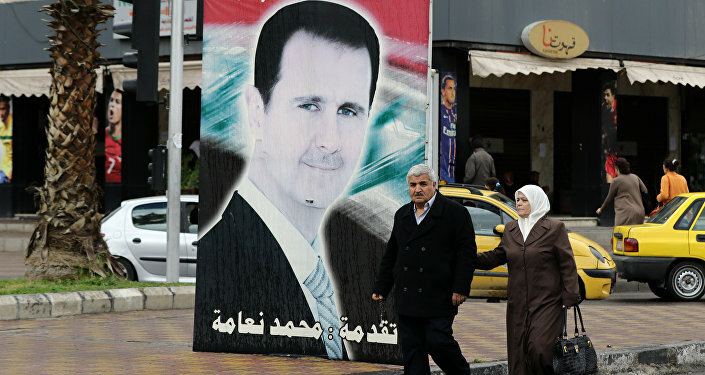 "First, [Bashar al-Assad] will control the agricultural lands of Raqqa and the oil fields of Deir ez-Zor. Second, he will have access to the Iraqi border, through which he will be able to receive reinforcements from the 'Iraqi volunteers' controlled by Tehran. Third, he will be able to concentrate all available troops against Idlib," the academic suggested, adding that the assistance of Russia's Aerospace Forces will be of utmost importance for the SAA in these initiatives.